The continuous improvement of the efficient production process is the focus of the today’s tool construction. It is characterized by tight space conditions and less and less tool steps so that it can be produced cost-effectively. In future, the tools have to become even more compact and smaller in order to meet the requirements of a narrow space. The standard part producer Strack Norma has already distinguished on the market with the PowerMax® cams of the first generation due to the more compact installation depth compared to the other standard cams. With the PowerMax cam 2.0, newly developed in 2015, an up to 30 % shorter standard cam was additionally developed. 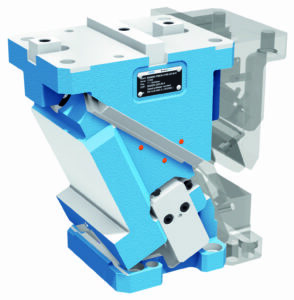 It combines attributes such as high running precision, highest press- and retraction forces and closest tolerance values in one product and is especially designed for tight space conditions. Tools can thus be saved by merging operation steps and together with the high running accuracy form the basis for efficient and safe working. The success of the introduced compact cam PowerMax® 2.0 confirms the technical orientation of the PowerMax® program with regard to customer-specific problem solutions. While initially only the usual widths 65, 90, 125 and 165 mm in the medium version were offered, the standard part producer is currently expanding its standard program to adapt it to the market requirements. Particularly special solutions such as cam with a width of 700 mm or the new blank holder cam (PMON) show that the individual consultations and concept findings, which arise in close cooperation with the customer, are becoming more and more important. Compact, powerful, efficient and safe – with the PowerMax® 2.0 a problem solver is on the market being able to save space due to shorter and more compact design and thus to combine operation steps and to produce cost-effectively and efficiently. Redattore presso Tecniche Nuove S.p.a da gennaio 2002. 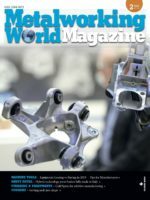 Attualmente è Coordinatore Editoriale nella Divisione Meccanica del Gruppo per le seguenti testate: Lamiera, Subfornitura News, Trattamenti e finiture, Tecnologie del filo, Fonderia, Metalworking World Magazine, Wiretech World, BiciTech, Click The Gear, Veicolielettricinews, Meccanicanews.